Nick Groff and Katrina Weidman are two of the world’s most renowned ghost hunters, but every once in awhile, they need a little help. On the next episode of their smash-hit TLC series Paranormal Lockdown, the duo call in supernatural investigators Greg Newkirk and Dana Matthews to lend a hand with an exploration of a haunted mansion with a disturbing history, and they’re bringing the most active artifacts from their Traveling Museum of the Paranormal & Occult with them! When you need to get your hands on a mysterious artifact with the power to affect the environment of a haunted house, who ya gonna call? Greg & Dana, of course. On the February 24 episode of TLC’s Paranormal Lockdown, Greg and Dana head to Joliet, Illinois to assist Nick and Katrina on an investigation of the infamous Scutt Mansion. 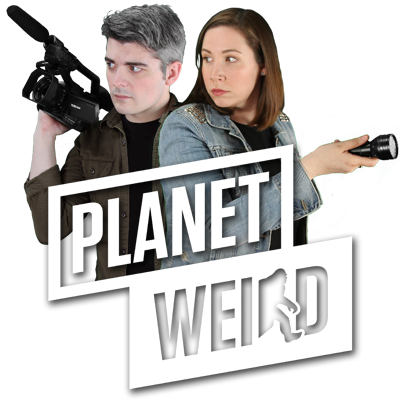 To help kick up the location’s paranormal activity, the duo come armed with several haunted artifacts from their collection, and the startling results are a glimpse at the building’s numerous, and often frightening, supernatural entities. Thanks to a long-term loan from its owner, the curators of the Traveling Museum of the Paranormal & Occult have since been studying the mysterious box, and their trip to Scutt Mansion with Nick Groff and Karina Weidman is just one example of the experiments the artifact has been involved with. Fans of the series Haunt ME (which we’ve repeatedly gushed about here at Week in Weird) will recognize the “Dybbuk Box” from their season three episode “Seven of Swords”, in which the team uses the artifact to make contact with the spirits residing in the haunted Mexico High School, but things don’t go exactly as planned. Paranormal Lockdown is now at the tail end of its second season, but this episode marks the first time that stars Nick Groff and Katrina Weidman have called in experts on the subject of haunted artifacts. 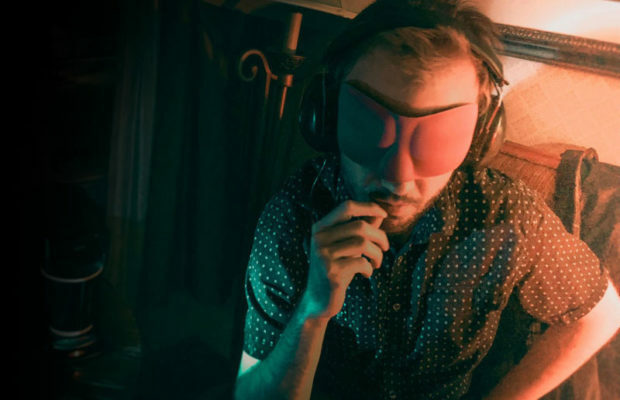 That’s not the only reason the Scutt Mansion episode is special – it’s also the first time they’ve made use of an elaborate, multi-camera setup, attempted to use supernaturally-influenced objects as a trigger for paranormal activity, or had another duo spend the night investigating with them. Want to see how it all shakes out? Be sure to tune into TLC on Friday night, February 24 at 9/8c for Paranormal Lockdown. 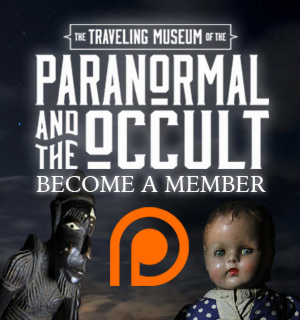 To learn more about the Traveling Museum of the Paranormal & Occult, click here. ← Previous Story EXCLUSIVE VIDEO: Watch the Opener of ‘Ghost Brothers’ Season Two, Coming to TLC March 10!